In 1976, KISS performed at Roosevelt Stadium in Jersey City, N.J., a show documented in a DVD titled “The Lost Concert.” Two years later, Roosevelt Stadium was the site of another event, The Lost Fly Ball. A fly ball vanished from a Double-A game between the Bristol Red Sox and Jersey Indians on May 28, 1978. The Indians were an Oakland A’s affiliate but kept the name “Indians” from a previous major league partnership so they wouldn’t have to buy new uniforms. When the Double-A club filed paperwork to join the Athletics organization, some publications listed the team as the “Jersey City A’s,” an inaccuracy that still appears in baseball encyclopedias and websites. The team’s general manager, Mal Fichman, decided to use “Jersey” instead of “Jersey City” to appeal to the entire state. Rickey Henderson played center field for the Indians. That’s probably a strange image, as we don’t associate Henderson with the Indians or center field. There was no confusion surrounding the Bristol Red Sox team name. The Red Sox were a Red Sox affiliate. They were based in Bristol, Conn., a 2.5-hour bus ride from Jersey City. Bristol players loved road trips to Jersey City because they were a short cab ride from postgame excitement in New York City. Bristol had a future Hall of Famer of its own, Wade Boggs. He played outfield, second base, shortstop and third base that season. Speaking of strange images: Boggs in the outfield, an assignment he had only once in the major leagues. Boggs, Henderson and the rest of the players dealt with Roosevelt Stadium’s antiquated lights that night. “It was dark. A ball could get lost because the ballpark was not well lit at all,” said Indians public relations director Jim Hague. With a thick New Jersey accent, a precise memory and an entertaining storytelling style, Hague compares himself to the lead character in the movie Almost Famous. He was 17 years old and somehow convinced his high school to let him take extended absences to travel with the Jersey Indians. He laughs at memories of Henderson cheating in their back-of-the-bus late-night card games. In its first year, 1937,Roosevelt Stadium sold 50,000 tickets to Opening Day, even though the capacity was only 24,000. It hosted baseball, basketball, boxing, concerts, football, ice skating and soccer over the years. Jackie Robinson collected four hits there for Montreal on April 18, 1946, in his first minor league appearance. The Brooklyn Dodgers scheduled 15 regular-season games there in the mid-1950s as their long-term plans were unfolding. Crosby, Stills, Nash & Young jammed at Roosevelt Stadium the night Richard Nixon resigned. “It was a very difficult place to umpire,” said 1978 Eastern League ump Gerry Davis, who went on to work more major league postseason games than any other umpire in history. “That place was a dungeon,” recalled Bristol outfielder Gary Purcell. Those dim conditions played a part in a minor league mystery, The Lost Fly Ball. Yes, a fly ball disappeared from an official professional baseball game. 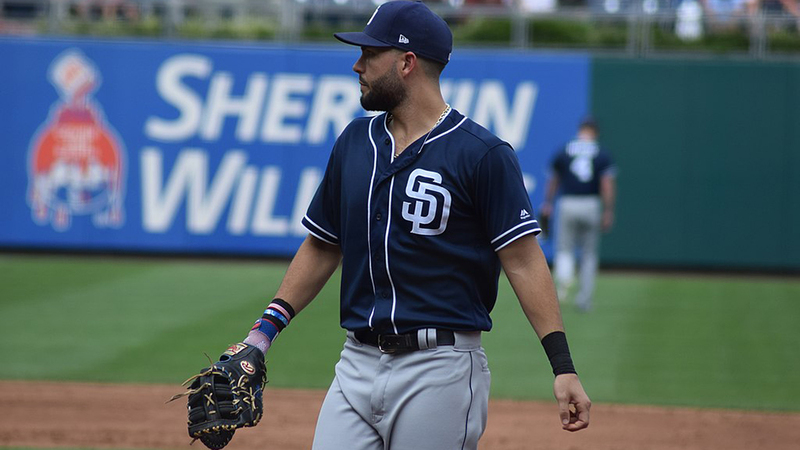 Jersey was batting in the early innings when a right-handed hitter swung at an outside pitch and lifted the ball toward Bristol right fielder Barry Butera. “It wasn’t hit high enough to be blown over the fence,” Boggs added. The most basic advice ballplayers receive is to keep their eye on the ball. But what happens when the ball disappears? Jersey had the lowest attendance in Double-A baseball that season. The team played 68 home games and drew only 28,969 fans, exactly 38,000 fewer than the Reading Phillies’ league-leading 66,969. These days, a successful Double-A operation sells 28,000 tickets for a four-game series. Fifteen of the 30 current Double-A teams welcomed 300,000 or more fans last season. The Lost Fly Ball game occurred on the Sunday night before Memorial Day. There were fewer than 300 spectators to see, then not see, the puzzling pop-up. A Class B game in Lynn, Mass. ended early on May 20, 1911, when a fog bank rolled in from the ocean and Fall River’s Buck Weaver belted a ball into blurriness. Nobody could find that ball, either. But this was a different story. While Jersey City is on the Hudson River waterfront, weather was not a factor in this Eastern League enigma. It was a 68-degree night without condensation, fog, haze, mist, murkiness or precipitation of any kind. The mystified managers wanted to know, what’s the call? Double-A umpiring staffs have three per crew these days. Back then, there were only two to keep up with the speed of the game just two rungs below the majors. The umpires assigned to that game were both well-traveled with previous years of minor league experience, but neither had ever considered how to rule a ball batted into nonexistence. “The umpires got together and decided to give the batter a ground-rule double,” Boggs reported. Bristol manager Tony Torchia wasn’t thrilled with an opponent being handed an automatic double, but he had no evidence to suggest otherwise, so he settled back into the first-base dugout without much argument. We tried to identify the batter who hit the fading fly, but things happen — four decades worth of things. The Eastern League told us they don’t have archives earlier than 1981. Hague had boxes full of 1978 Jersey Indians scorecards, but they were washed away in a flood six years ago. The Hudson Dispatch, the newspaper that covered the Indians daily, folded in 1991. The Jersey Journal followed the team, too, but its archives are inaccessible because of renovations at the Jersey City Free Public Library. We tried mining records of the visiting team, but The Bristol Press did not go to print on Sundays or Mondays back then. Bristol baseball historians Dave Greenleaf, Doug Malan and Bob Montgomery hadn’t heard of the play in question. Charlie Eshbach, the Bristol Red Sox general manager in 1978, wasn’t aware of The Lost Fly Ball, either. We gathered theories on where this fly ball landed but could not get a consensus. 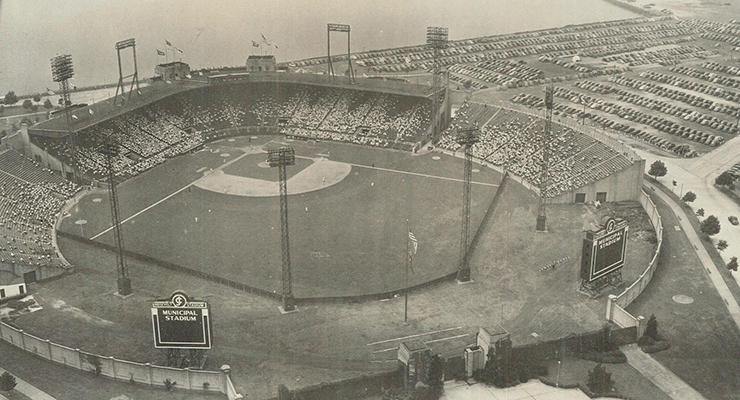 Hague wondered if Roosevelt Stadium’s high, white bleachers in right field concealed the ball’s landing spot. One player spotted a kid behind the right field wall holding a baseball, but another observer said it didn’t look like a game ball. A Class D Kentucky-Illinois-Tennessee League game stopped because of a missing ball in 1939 when a pop-up went up and a dead owl came down. Perhaps The Lost Fly Ball also had wildlife interference? Eventually a new ball was put in play, the contest resumed, and Bristol cruised to a 7-3 victory. The Red Sox won the Eastern League title in 1978. Butera wore his championship ring for years. Boggs finished third in the league in hitting, and Henderson led the circuit in stolen bases. The enthusiasm for the new era of Jersey City professional baseball was short-lived. New Jersey Bucs hats became collectors’ items because the team never played a game under its new identity. In January of 1979, a windstorm blew over one of those ineffective light stands and sent it crashing through the Roosevelt Stadium roof. Suddenly, the Eastern League had a team without a home. After shuffling around other cities and affiliations, the New Jersey Bucs franchise moved to Waterbury, Conn.
“We went down there to Jersey City and drove a couple of U-Haul trucks back to Waterbury. It was boxes full of uniforms, bats, balls and things of that nature that were left over. It was a one-day trip,” Johnson said. And just like that, the team disappeared, just like its fly ball a few months earlier. Telephone/email correspondence with Wade Boggs, John Burbridge, Barry Butera, Gerry Davis, Charlie Eshbach, Dave Greenleaf, Jim Hague, Jerry Izenburg, Chuck Johnson, Doug Malan, Scott Merzbach, Bob Montgomery, Anthony Olszewski, Gary Purcell, LeRoy Robbins, Bill Rosario and David Vincent. Tipper Gore and the PMRC emerged in the early 1980s, by which time KISS had long since passed their peak. The pushback against the band in the 70s was from conservative religious groups otherwise obsessed with backwards masking and demonic/Satanic lyrics and imagery. Tipper was just upset about bad language, and a good 5 years later. For what it’s worth, it was Dee Snider, from Twisted Sister, who testified before a mid-1980s U.S. Senate committee, in opposition to the PMRC agenda. I’ll give you this: “KISS Meets the Phantom of the Park” is one of the worst movies I’ve ever subjected myself to. Great article – it was a fun story while providing a context for the state of minor league baseball affairs in the late 70s and the end of baseball in Jersey City. What are your thoughts on where the ball went? Good question. It’s a mystery. Maybe the ball will land one of these days. David Copperfield was born David Seth Kotkin, on Sept. 15, 1956, in Metuchen, N.J., a short jaunt down I-95 from Jersey City. Can anyone account for his whereabouts that night? Thank you for posting your experience. It’s amazing to hear from someone who was in the stands that night! Cool article, and awesome comments by people who were at the game and the Kiss concert. Sometimes the internet is great. Grew up in Jersey City in the 50’s and 60’s. Roosevelt Stadium did not have “High white bleachers in right field” as reported in the story. In fact it had no bleachers at all. I attended a lot of those games, including Dodger games and most of the rock concerts held there including CSN&Y the night Nixon resigned. Pink Floyd’s Dark Side of the Moon tour there was, without a doubt, the greatest show I ever saw. Thank you for reading the article. The city spent $40,000 in February of 1977 to “remodel the stands,” according to newspaper coverage at the time. The bleachers looked different in 1978 than they did in the 1960s. Great stuff Tim! Thanks for the effort to tell such a great Minor League Baseball story! Any chance that Bristol Red Sox historian Bob Montgomery is the same Bob Montgomery who played catcher for the Boston Red Sox during the 1970s? Indeed, times have changed. Getting paid for work is apparently now a perk. . It was a fun story while providing a context for the state of minor league baseball affairs in the late 70s and the end of baseball in Jersey City. Thanks for the effort to tell such a great Minor League Baseball story!